My eyes just about doubled in size when I saw these groovy-as-can-be wall art canvases come across my computer screen. I was smitten from the word go. 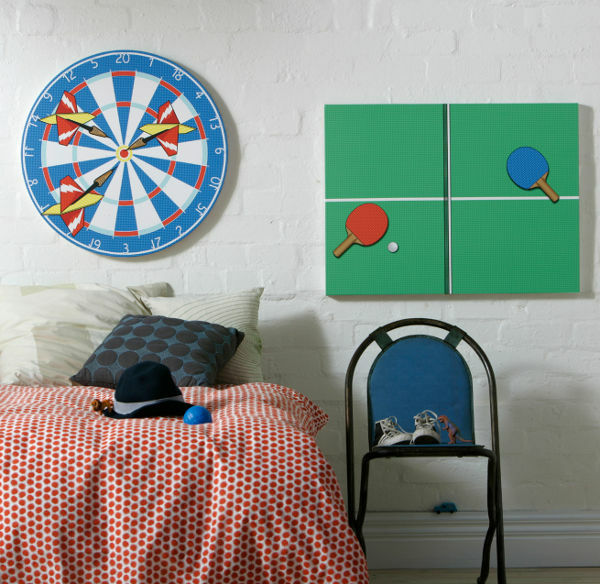 Brand new Australian company Nootles (started by a mother of two) is the creator of the ingenious wall art. 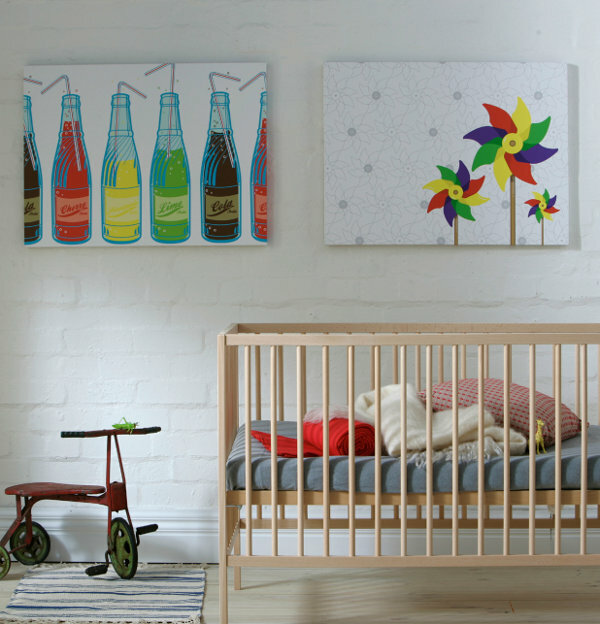 It’s energetic and bold mixed with a tiny bit of retro flair. 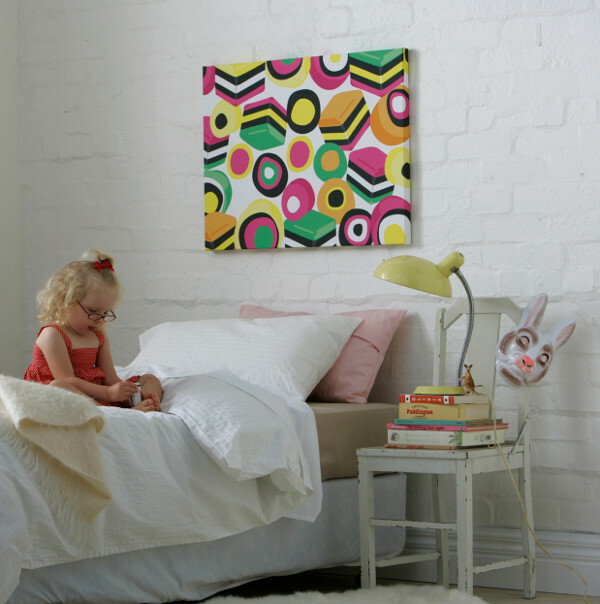 Filling a gap in the market, the Australian made canvases will most certainly make any bedroom wow-worthy. Nootles makes its mark by producing exquisite yet playful designs. 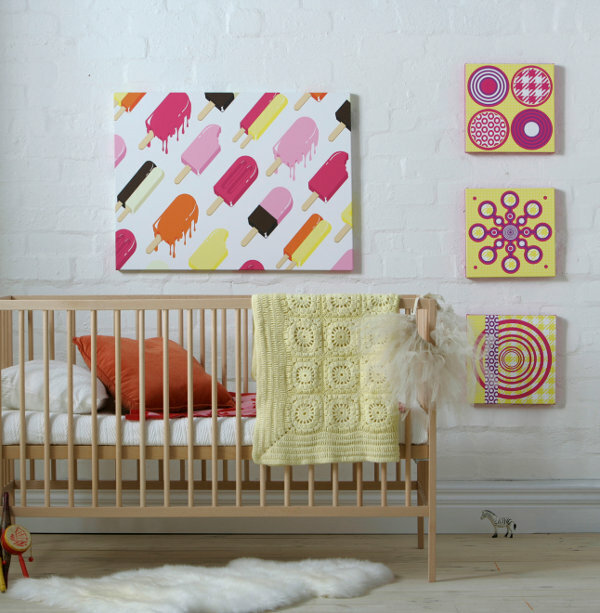 The ‘Soda Pop’ and ‘Icy Pole’ canvases (both pictured above) are uber-swell with the ‘Darts’ design marvelously suited to an older child’s room. Order whichever is your fave direct from Nootles. All canvases are priced at $245 plus postage.